In Annual Events, Salisbury, Maryland: A Visitors Guide, Things to Do. There was gunfire, a lot of it, but no screaming or running. In fact no one even flinched. Kids and adults alike posed before antique tractors, ate popcorn and generally wandered around taking in the county fair. 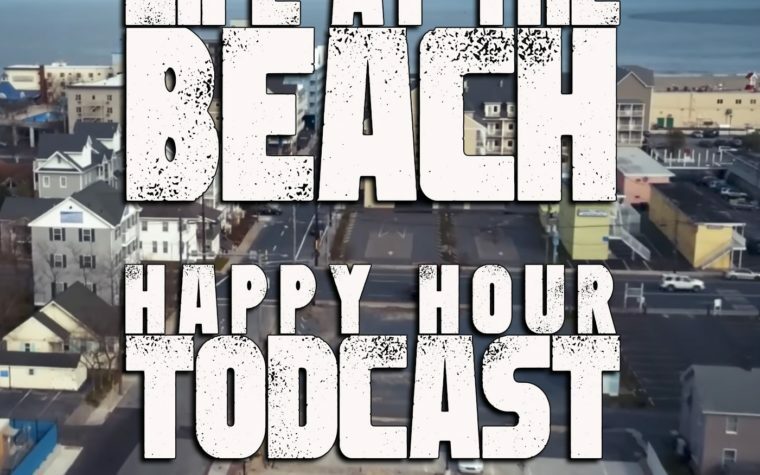 If you’ve never been, let this serve as fair warning. There is gunplay at the Wicomico County Fair and everyone there is fine with it. Art Williams of Felton galloped on horseback, executing balloon after balloon in a demonstration of horsemanship. He and a half-dozen or so other riders were part of a show and competition at the extreme west side of the Wicomico County Fair at Winterplace park. Held, appropriately enough, in the ring nearest the Wicomico County Equestrian center, people lined the fences watching as rider after rider shot as many balloons as he or she could while riding as fast as they dared. And it never got tedious. One rider would slalom through the balloons, or circle them, or ride straight up and down the aisles they created, but the spectacle of shooting and popping balloons from horseback captivated the crowd time after time. 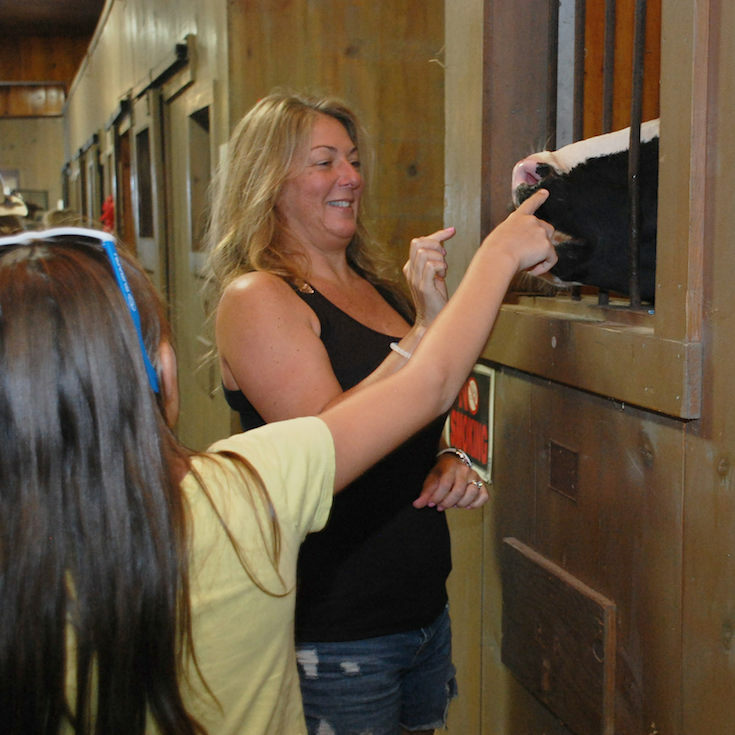 It is easy to point to false nostalgia as the primary reason people were drawn to the different exhibits at the Wicomico County Fair, but that doesn’t appear to get at it. Fascination is a better description. Many people have little contact with the visceral part of agriculture. Sure, the riding was cool and the shooting was fun, but the horses were running and sweating rather than just standing in a field, which is how many people usually see them. 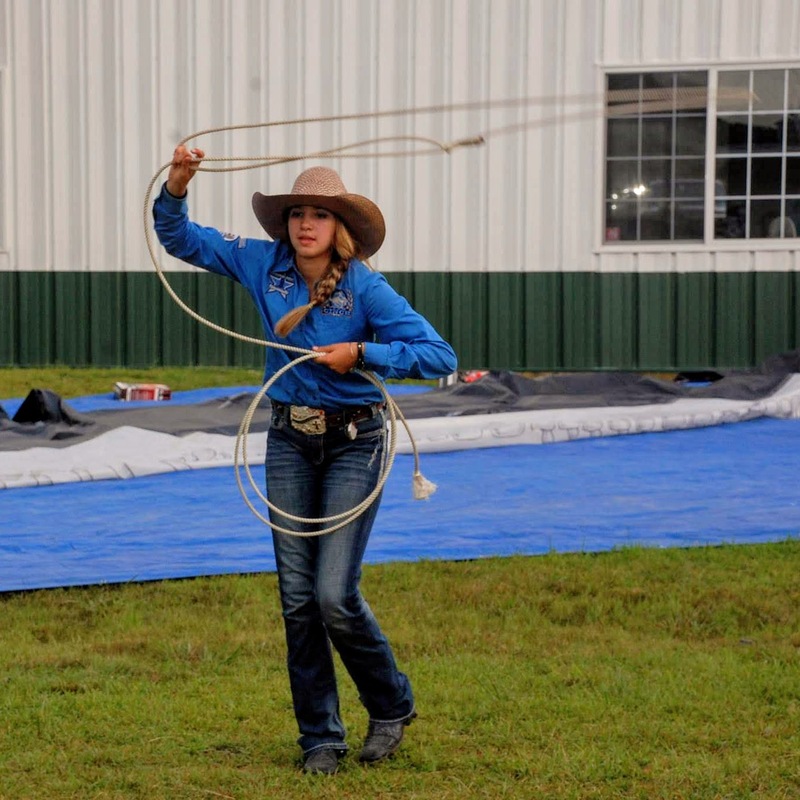 Chloe Dixon of Goldsboro shows off her lasso skills at the Wicomico County Fair. Chloe Dixon of Goldsboro and Morgan Meekins of Townsend, Del., took turns lassoing a plastic steer head. They were showing off their rodeo skills while also spreading the word that there was such a thing as a high school rodeo team. The team members are high school aged, but the team isn’t located at a particular high school. In fact, the team that represents the region has members from Parsonsburg to Goldsboro, Del. 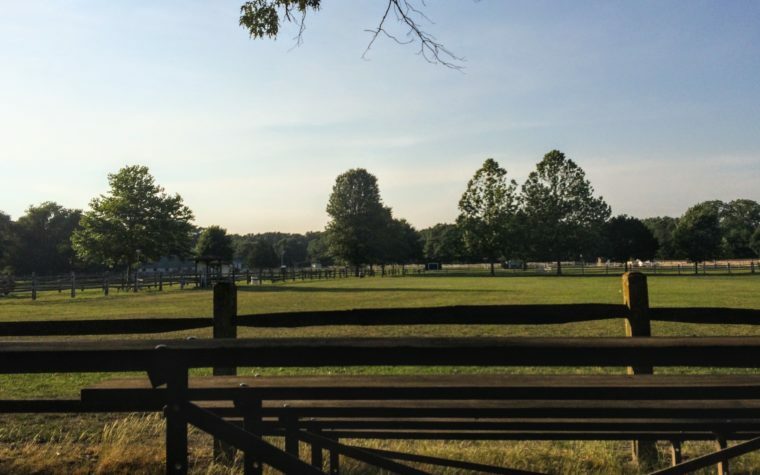 The Eastern Shore team competes against other Maryland region teams to earn points and eventually (hopefully) compete in the national rodeo. Delmar resident Kurt Walbert coaches the team, and he explained all of this as the girls continued to lasso, not so much doing tricks (they didn’t walk through the loops they were turning or dance in and out of them as they spun close to the ground) as doing practical roping. Which was much more impressive in its own way. Like shooting from horseback, these weren’t practical skills. Steer, when they are driven at all, are driven in railroad cars or tractor trailers. Instead, the demonstrations and the fact that people practice these skills was more an acknowledgement that these skills are worth preserving, like folk art but faster. For practical purposes, things like roping and riding any other of the various arts and crafts that attract people to county fairs aren’t particularly useful. But people do them and watch them because they still are valuable, and there is a difference. They require a skill that can be honed and developed. In a world diversions are so much easier to come by and require less practice to master, it made people feel in better touch with the natural world and the artisanal one. Similarly, beyond the cowgirls’ exhibition was what arguably is the mostly widely known display in county fairs all over the country, possibly the planet: prizes in the farming and baking crafts. The county’s largest vegetables and tastiest baked goods were on display, along with their ribbons. The prizewinners weren’t next to their awards. After all, no one expects someone to stand text to a huge pumpkin when there’s gunplay fewer than 100 yards away. But the displays themselves represented the winners’ commitment to their own arts as well. The largest pumpkin isn’t grown by accident. It has to be planned and cared for and cultivated over generations. Again, the only thing more impressive than what these participants did was the fact that they had the interest, commitment and skill to do it at all. Even though Wicomico County still is pretty rural, not everyone gets a chance to see cows up close. If giant vegetables don’t leap to mind when you think about the Wicomico County Fair than livestock almost certainly does. Housed in the main horse barn in stalls were the prizewinning cows, goats, pigs chickens and pretty much any other animal Old MacDonald had on his farm. The barn was kept as cool as several massive fans could keep it, but very little could be done for the smell. It wasn’t farmy so much as it was confused. Too many different animals in too hot and confined a space for too long will result in some special aromas. But the animals were beautiful and happy to receive attention from the kids, who were happy to give it. One cow, when she hadn’t been pet in too long when too lie down for a bit, but it didn’t last long and eventually she was on her feet literally calling for attention with a room-shaking moo. The gunfire didn’t make anyone jump, but this attention-seeking cow did. She got what she wanted apparently, because a group of people queued up to stroke and feed her and she quieted down immediately.